Robin Seager has updated his classic biography of Tiberius, which focuses on the Emperor’s complex character as the key to understanding his reign. 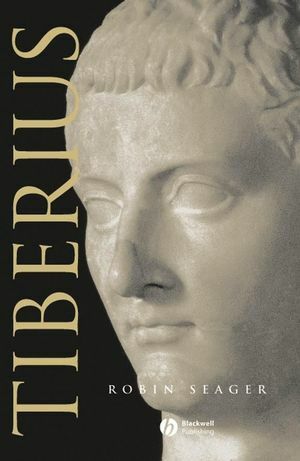 The most readable account available of the life of Tiberius, the second Roman emperor. Argues that Tiberius’ character provides the key to understanding his reign. Portrays Tiberius as a man whose virtues and beliefs were corrupted by power. Shows how Tiberius’ fears of conspiracy and assassination caused him to lose his grasp of reality. A new afterword discusses important new evidence that has come to light on the reign of Tiberius. Robin Seager is Reader in Classics and Ancient History at the University of Liverpool. He is the author of Pompey: A Political Biography (1979), Ammianus Marcellinus: Seven Studies in his Language and Thought (1986) and Pompey the Great (Blackwell, 2002). 1 Tiberius' Childhood: The Political Background. The End of the Republic. Tiberius’ Birth and Infancy: The Triumvirate. Tiberius’ First Steps in Public Life. The Succession: Marcellus and the Sons of Agrippa. The Northern Frontier: Rhaetia and Vindelicia. The Succession: Tiberius’ Marriage to Julia. The Northern Frontier: Illyricum and Germany. The Northern Frontier: Germany and Pannonia. Tiberius the Successor of Augustus. 3 The Accession of Tiberius. The Death of Augustus and the Removal of Agrippa Posthumus. The Interim and the Meeting of the Senate on 17 September. The Mutinies on the Danube and the Rhine. The German Campaigns of 15. The German Campaigns of 16. The Trial of Libo and the Rising Clemens. The Succession: Drusus and the Sons of Germanicus. 5 Tiberius as Princeps, ad 14-26. The Equestrian Order and the People. Tiberius and the Precepts of Augustus. Seianus and the Death of Drusus. From Drusus to Tiberius’ Withdrawal to Capreae. Tiberius and Rome after Seianus’ Fall. The Succession: Gaius and Tiberius Gemellus. An updated edition of this classic biography originally published in the 1970s. Argues that Tiberius’s character provides the key to understanding his reign. Shows how Tiberius’s fears of conspiracy and assassination caused him to lose his grasp of reality.